Many small businesses have been up and running a good while before their thoughts turn to brand building. Even then branding ends up slipping to the bottom of the to-do list. Of course, with the 101 things small business owners are faced with on an every day basis this is understandable. Yet it is important not to underestimate the importance of good branding. In order to be successful long-term, branding needs to be at the heart of your business. Working on creating a proper brand presence early on can pay dividends in the long run. Why? Because the impression you make as a business as critical to your long-term success and this is tied intrinsically into branding. Your brand is essentially the set of ideas your business stands for in people’s minds. Recognisable visually such as through a logo, your brand is also shaped by your actions as a business. A successful brand will help differentiate you from your competitors, build loyalty, increase traffic, create brand advocates and help connect people emotionally to your business. For example I have being buying Converse All Star for well over 20 years. Not solely because of the trainers themselves but because over years I have connected emotionally to the brand through a sense of belonging becoming a loyal returning customer in the process. Branding itself is a massive area indeed, large companies have dedicated people such as brand managers and brand directors working on their brand full-time. As a small business owners we obviously don’t have that luxury, yet with a bit of time and effort we are quite capable of building a successful brand for our business ourselves. Before you embark on building your brand presence you need first to spend some time thinking about the fundamentals of your brand. Considering the following questions will help you get you off to a solid start. What is your purpose as a business? What are your businesses core values? Who is your target audience and what are their needs? What do your customers think when they think of your business? What differentiates your business from that of your competitors? And most importantly, what is it you want your customers to think when your business comes to mind. The great news is you don’t need a huge budget in place to build your brand. You will however need to invest some time and thought into establishing a solid brand presence. 1. Offer a positive customer experience. 72% of consumers say customer service is central to brand loyalty. I mentioned earlier that branding is closely associated with the impression you make as a business. Central to this is offering your customers an all round positive experience from start to finish. Ensuring that your customers experience a seamless journey – from navigating your website, browsing products, using your shopping cart, making a payment, shipping and delivery to exemplary customer service – is essential if your want to building a positive impression and healthy reputation. Authentic, relevant, quality content is integral to building your brand. Content that reflects your brand identity and is relevant to the needs of your customers will build brand engagement, brand loyalty and brand trust. 80% of consumers say that the authenticity of content is the most influential factor in their decision to become a follower of a brand. People prefer to do business with other people. For small business owners your brand personality is likely to be you – it is what you do on behalf of your business. Think about the tone you use when you write, how you interact on with people on the phone, what things you post on social media and what visual images you use. Remember what you are submitting is a reflection of your business and your brand values. Try using your ‘About Us’ page to give customers a feel for the people behind the business. ‘Meet the team’ or ‘behind the scenes’ can give a face to your business and help people build an emotional connection to your brand. Take a look a Stella and Dot or Riverford’s About Us videos. 71% of people say they are more likely to make a purchase from a brand they follow on social media. Social media is a great platform to build awareness of your brand. Firstly consider not only the platforms your target market are likely to be using but also which platforms best support your brand image. For example Facebook is probably a safe starting point for most businesses as it is has huge and diverse audience, if you are heavily imaged based then look at Pinterest and Instagram and if you are B2B then you probably want to be on LinkedIn. The point is to give it some thought before you leap in. The content you post should reflect your brand image and support your brand values. The more valuable it is to your customers the higher the likelihood is that it will be shared. A successful business with a loyal customer base will have worked hard over time to establish brand trust – think John Lewis, FedEx, Apple and Amazon. As a small business and start-up the best way to start developing brand trust is, as we mentioned earlier in the article, through providing a consistently positive customer experience. Building a recognisable visual identity is essential to establishing a brand. Firstly create a great logo and use it everywhere. Think also about your visually branding in terms of fonts, colours, style and feel. This should be applied to all your marketing materials both online and offline. If you keep these things consistent you will start to establish visual brand recognition. It is a good idea to create a set of visual brand guidelines and standards – such as how your logo can be used, what font should be used and the Pantone reference for your brand colours. Apparently it takes between 5-7 brand impressions before someone remembers your brand. Therefore staying consistent is absolutely essential if you want to establish your brand in the mind of customers. Consistency will reinforce your brand identity making your brand recognisable and differentiating you from your competitors. Mixed messages and inconsistent branding will only leave customers confused about your business with no reason to invest in what you have to offer. We’d love to hear your own thoughts and experiences on building a brand for your small business, so please do leave a comment. Broadly speaking both upselling and cross-selling deliver the same effect i.e. increased profit. Generally people require a genuine second person review or suggestion while shopping. And what if the seller himself performs this, in that case the customer would want to entrust even his future shopping assignments to him. A website cannot manifest a human touch, but if a site escorts a customer in his online shopping journey it would profit both sides. And hence the entire objective of this operation should not just be manifold profit but to make the user’s experience expedient and comfortable. To understand it better let’s take an illustration: Recommending accessories to pair up with your jeans might not just help you earn more profit by selling more products to the same customer. It will also resolve few hassles in advance which would spring up in the future. Upselling is inducing a customer to purchase a product for which he had not shown any prior buying inclination. However it should not be taken as needless buying. As sometimes consumers do have a need which they do not acknowledge until they are made to. You can upsell anything – a product, a service or an extended warranty contract (Terms and conditions as they are mostly provided in case of automobiles and electronic goods – it is nothing but an advanced coverage for repairs and periodic service). Example: Amazon.com. Their persuasive course doesn’t end on completion of a purchase, it actually starts there. And it comprises regular mails with alluring offers and product images to customers. As the customers have already established a trade relation, making a new purchase all the more smooth (only if they had a positive experience). Companies into direct retail associate bonuses with upselling and cross selling to employees in order to increase their revenue margins. A high end product which gets rejected for its high pricing can fetch a profitable sale if well promoted. The basic trick to upsell is learning about your customer and his background. This will help you figure out the utility-void for your product. If a customer comes looking for a smartphone and you suggest him a television, this foolhardy would not just irritate the customer but demonstrate ruthlessness at the same time. And this will also impact customer’s perception of your brand. A brand that is just bent upon selling products irrespective of its applicableness to the person concerned holds less value. And it would rarely bother about customer concerns after the sale is completed. On the contrary a brand that takes account of customer clicks and search criteria before making a recommendation is perceived to be smart and stands to gain on account of relevant suggestions. Additionally, knowing customers purpose behind the buying decision will enable you to make more helping recommendations. Do not spin the customer amongst pages. 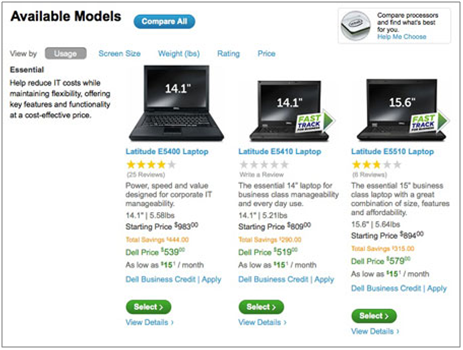 Most of the time customers compare products before buying, and comparison rule implies that comparable products with their specifications share the same screen space. Therefore a customer should be provisioned to view other products alongside his current selection. And this can be worked up by presenting other products from the same category on the same page. Insert either a horizontal or vertical frame to carouse similar products without losing the sight of the selected product. 1. Keep product suggestions at the bottom of the page (above the footer). Here the frame is noticeable even at a glance and at the same time does not obstruct a user in his selection process. 2. 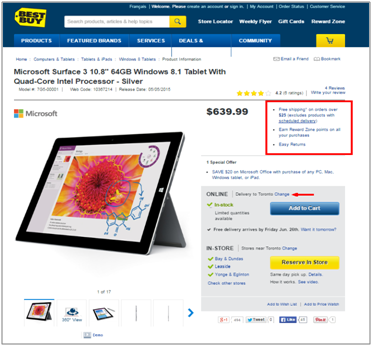 Place the product recommendation after the first conversion step, which happens to be before cart confirmation. This would ensure the first sale and give user a last moment insight into other product range offered. Ecommerce sites usually suggest similar complimentary product options from different brands, that customer did not know existed. Nobody has the time to run over the entire product range displayed by a website. A customer always trims the product list according to his preference criteria. A productive way of recommending products would be – Displaying only the products that fulfill the chosen criteria and explicitly mention it in words. For example if a person comes looking for smartphones having 13 megapixel primary camera. Additional product recommendations to him should be made based on the same criteria and be worded so – “Other smartphones having 13 mp camera”. Lastly, the only way to convince a customer for buying a more expensive product over his selection is by proving higher returns of the product. Invade the customer’s qualm about durability; nobody would want to buy a product that is irreparable and high maintenance. A refrigerator which is higher in cost but consumes less power being eco-friendly will fetch more savings in the long run than its economic counterpart. Effectively conveying this message to the consumer will coerce him into buying a product that is heavy on the pocket now but will alleviate the burden later. Such deals benefit both the vendor and customer, provided you deliver what you guarantee. A man goes to a restaurant for lunch. After noting the order waitress asks him politely “Sir would you like to have something to drink with it, we have some fresh seasonal juice you will like”. Cross selling is nothing but proposing additional products from different categories to the customer to up your sale amount. Couple one product to another for making more sales; most cosmetic companies cross sell using this criteria. A consumer intending to buy a hair shampoo is sold an after-shampoo conditioner emphasizing the need to condition hair after washing them. And since washing is a regular routine activity people do, the profit margin doubles for the manufacturer and retailer. There is a new product people are not aware about. Unless marketed people will never come to know about it. Simply asking the people to buy a new product is not enough for cracking a sale. It requires attractive embellishment to draw visitor attention. For this you can ascribe eye catching discounts to such products. This will fetch it sufficient recognition nearing purchase. You must have seen retail stores flaunting “Buy two and get 40% off”; clubbing discounts can also earn you more. And you can extend it to varied product quantities to provide an offer for everyone. Godfather’s famous lines “Make them an offer they cannot refuse” make the most sense when it comes to devising discount schemes. Various kinds of people visit online stores, some are thrifty while some are ready to spend lavishly. And then there are those that carry a flexible budget, and are ready to stretch it if they are getting a good deal. Consider all these types of people when you plan out your discount options. The recommendations you make should be well within the confines of relevance. The products could be from different categories but complementing the selection. If customer adds a pair of formal shoes to his shopping cart he might require extra laces, a shoe polish, or insoles. Suggesting such items which don’t literally but superficially fall into the category will induce the customer to add more stuff into the shopping cart to pair up with his purchase. This is possible when all the products follow at least 2-3 level categorizations. 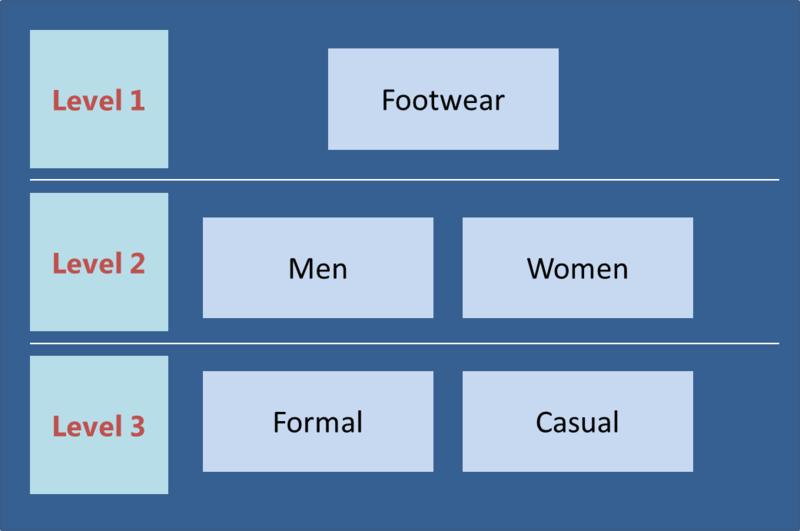 A high level view may categorize a shoe into footwear category, but it can be broadly classified into Men and Women’s shoe category, going further this shoe can fall into a formal or a casual shoe category. Therefore a detailed categorization of all the products that encompass your range should be done. So that the algorithms that regulate product displays on the webpage are fed in advance. And hence whenever customer selects a product, algorithm picks recommendatory products from its sub-categories. 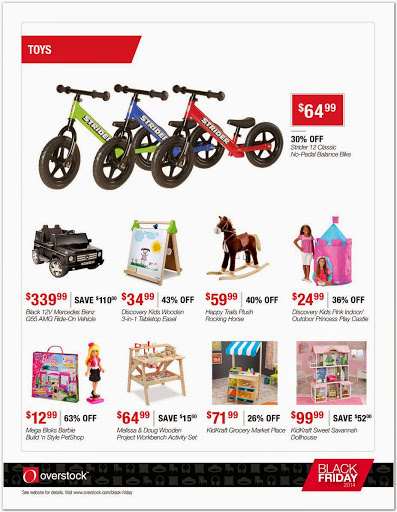 On the other hand, another retailer Costco.com posts other product recommendations based on previous user searches. Never team a cross-sell that costs higher than the original selection. Probability of it being selected is dim. If customer takes a leap to buy an extra commodity, it should be well within his buying budget. And that budget is definitely not double the price of his purchase. In fact it approximates to 25% of the initial product price. Recommendations that bear a small price tag stand a chance in the shopping cart, as accommodating them does not distinctly inflate the cart amount. If you are suggesting accessories make sure they are not expensive enough to scare a user away as this might lead to cart abandonment, especially if the customer finds a similar pair at lesser price on another store. Although this might require you to apply more than one algorithms and a strong knowledgeable staff at the backside for suggesting relevant product. Price is the most important criteria that influence buying decisions. Bundle up free delivery with carts exceeding a particular amount. Sometimes paying for the delivery takes a toll on customers, which causes them to shrink their cart total. Incentivizing their purchase order by free shipping can relieve them of the pressure and induce them to increase their purchase limit. Just to waive off the shipping costs, sometimes friends join their wish lists and make a single bill. This can also be done by clubbing products from the same retailer. This would not just ease off the shipping issues, but will also smooth the return and exchange process. Track the progress of every marketing campaign after its implementation. Conduct webpage analysis to monitor the most frequented area of the page, keywords, etc. If your strategy combines both cross sell and up sell techniques, it would be tough to identify which technique generated more sales. If you contemplate the outcome based on user clicks, there could be many unknown factors that influenced the result. Maybe the customer just clicked to check product specifications or maybe it was a joint order by two people. Often retailer use an amalgamation of Cross selling and Upselling, adopting any one of the two will be losing a revenue opportunity. Well this also depends on your articulation at these coercive techniques. Ultimately the intention is to maximize profit margins. Continued growth in ecommerce coupled with changes in the traditional retail environment has meant the last few years have seen a significant development in the pop up shop industry. With projections for next year indicating that pop-ups will grow nearly 2.5 times faster than the UK’s traditional retail industry there are no signs of a slow down. In Britain 11.6 million people plan to start their own business within the next two years of which almost a third will begin life as a pop-up. The very nature of pop up shops means that as well as being loved by the big brands its format lends itself really well to small online businesses and start-ups. We take a look at the benefits a pop up store can bring your ecommerce business and provide some helpful tips for getting your pop up off to a flying start. Even pubs are getting in on the act! Flexibility. Pop-up shops can be adapted to suit your budget. Their temporary nature means you have no long-term commitment and no big overheads. You can simply choose the kind of pop up space your budget allows for the amount of time you need it. This could be anything from renting a vacant retail space for a couple of months to a table at a farmers market for a day. Drive traffic. Exposure to a new audience can generate leads that you can capture and drive online to your business website. Customer engagement. If your business is primarily online then a pop-up shop is an excellent way to physically get yourself in front of potential customers. It gives you the opportunity to engage in face-to-face conversation with your target market and gain valuable insight and feedback about your business. Brand awareness. Pop-up stores can help get your brand in front of new customers, building awareness of your brand. Being creative can help generate interest and create a buzz around what you are doing – opening you up to some potential PR opportunities. New products. Pop-up shops enable to you to test new product ideas out on your potential audience and obtain real-time feedback. If you’re launching a new product then a pop-up store is also a great way to create some added excitement – complementing online marketing promotions. Test offline retail. If you are thinking about expanding your business offline into bricks and mortar then pop-ups are a sensible first step and a good way to experiment with the offline environment – before taking the plunge permanently. Have clear goals and objectives in place. What type of space is available in your budget? How long are you planning to run your pop up store – a few days, a few weeks or a few months? Will you need to hire in additional staff to man your pop up shop? What stock will you need? Do you need there to be a good WiFi connection? What time of year are you planning your pop up – will the weather have an impact? How are you going to take payments? How do you plan to data capture contact details such as email addresses? Choosing the right location is of paramount importance so make sure you do your research first. Primarily think about where you are likely to find your target market. Choose somewhere with a high footfall, with good public transport links and a location that is easy to find. 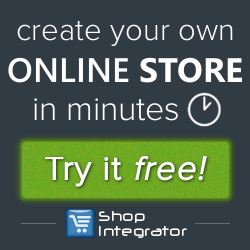 Do you need somewhere with good WiFi connection (essential if you want to get visitors to check out your online store or promote real-time posts on social media)? The more interesting and unique you can make your pop-up shop the more likely you are to attract an audience. It’s a great chance for you to get creative so spend time thinking about the visual impact you want your pop up shop to have. How will you display your merchandise? What signage will you use? Are you running any promotions or special events? 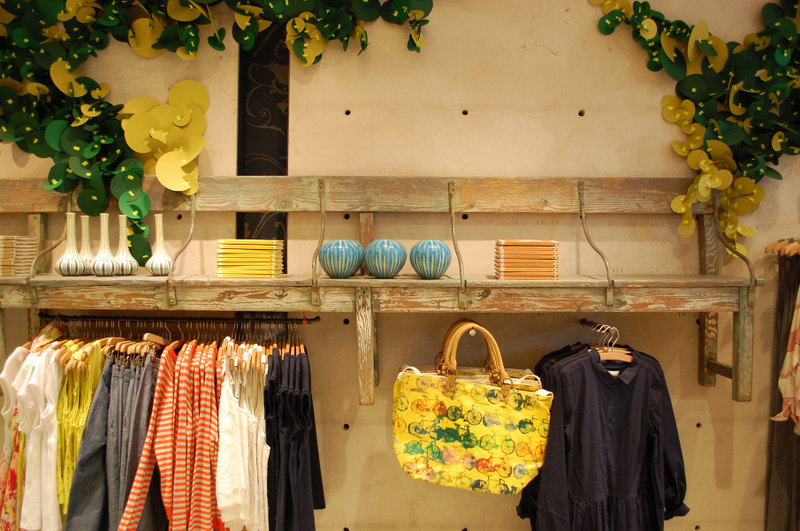 For some great visual inspiration, check out Pinterest – there are plenty of boards dedicated to Pop-Up store displays. As an ecommerce business one of your key goals is likely to be driving potential customers to your online store. Therefore think about how you are going to capture prospect data such as email addresses so you are able to follow-up on possible leads. Competitions are a great way to get people to impart with their contact details. Ensure that you display your website address prominently and include it on all your flyers and packaging. With a bit of thought and planning, pop up stores can be a great offline tactic for small business ecommerce and start-ups, so it’s worth giving it a try! We’d love to hear your experiences using pop up stores so do please leave a comment. Trades and businesses flourish on trustworthiness be it B2B or B2C. Customer confidence and credibility are not acquired overnight; it takes consistent perseverant years of service to appease your customers and flag out your name. Ensure your business entails all those ingredients that engender trust in your brand. Drawn from my experience as a consumer and marketer I share 9 upshots that will help you construct a trustworthy online store. Let your audience propensity take the center stage position in web store design. Site’s interface and interaction should orbit around visitor behavior – the navigation styles they prefer, shopping cart features that delight them, designs that instill confidence, page clicks and duration of visits. Audiences must perpetually feel elated coming to your site. Their interaction with the site should generate trust that eventually translates into revenue. And to attain this even if you have to inject bespoke elements into the foyer of site development, don’t dither. As a rule consumers share a fascination for extensive product information. Serving extra details on your store can take you extra miles in spawning customer’s interest for your site. Another unspoken expectation from your website is effortless accessibility. It should have clear navigation links and an in place search functionality. Carousel format to showcase products is an intelligible method. Besides drawing user attention to product this style enables visual perception to grasp other recommended products with equal concentration. Never in your marketing campaigns criticize a competitor. Your ethics and values are substantially important in carving your image amidst customers. People don’t via for brands that demonstrate a callous image. Condemning other brands can be perceived as your brands incompetence. Another way is to support social causes to enjoin your establishment with society’s concern. You can integrate some cause marketing program with your campaign. Toms Marketplace is one such eCommerce site that has enjoined diverse humane causes to every product purchase. The site navigation is clean and versatile to the extent that shoppers can make purchases affiliating to a cause of their choice through ‘Shop by Cause’ option. Your brand projects a personality. You need to get it just right enough to strike a chord at the right place; neither a subdued design nor a flashy one can make a mark. Unless you merchandise children’s items don’t select comic sans font. A font that matches your genre compliments your motive. Not all customers are discrete about a site’s appeal, but readability matters to everyone. Every copy that floats on web needs to be exhaustively proofread, because a single grammatical glitch or an overlooked spell error can mortify you in front of your customers. And mind you, such lapses are not expected of responsible firms. Few sites even sport user testimonials, popular magazine reviews and followership counts to trumpet their renown. And this is by no way against the rules. In fact fusing your social presence with the site will unlock the gates for traffic coming from social media. This idea provides us cues on significance of user reviews in shaping consumer confidence. As the customers get a real life account of products from people who have already used your services, their decision making is facilitated. In a retail business, nothing except a good quality product holds the power to gratify consumers. 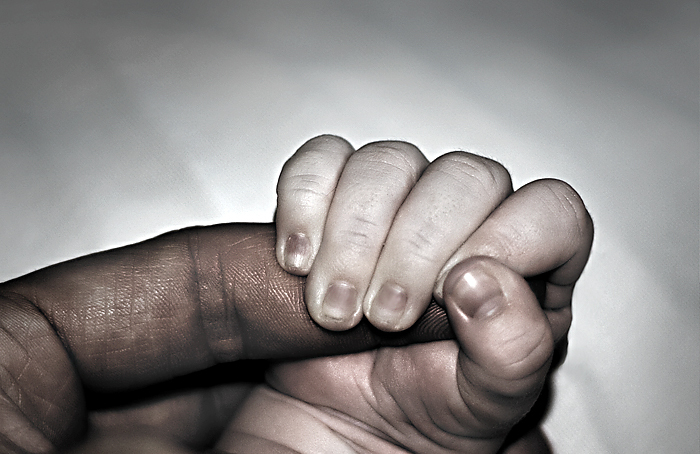 Delivering what you promise begets trust in return. Although seasonal sales witness intensified conversions due to price disruptions, but this revenue upsurge mostly confines to discount periods and does not sustain longer. Apart from price cut another reason being the inferior quality of products that do not deliver their value for money. If you sell low quality products to get rid of that old inventory however much you succeed in disburdening yourself, you will end up disappointing a loyal customer, who will never contemplate returning to your site again. State honest product grade information on your site; refrain from deceiving tactics of optimizing products appearance by visual effects. Even sharing user reviews alongside products will be useful in purchase decisions. Some sites also use rating algorithms instead of direct user feedbacks. Just like the neighbors in your new neighborhood coming to your home, people coming to your site for the first time are unmindful of your strengths. Acquaint them to your flagship products, latest stock additions and discount schemes. Moreover tool tip and field level response messages in forms also boost the user experience on site. Sometimes people explore online stores with a specific product image in mind, but are not always fortunate to find it. And this inability can greatly benefit your competitors who are just an opportunity away to grab your customers. To avert customers’ migration plans to another site, register their item requests, this would also demonstrate your responsiveness towards needs of a customer. Apparently people who desire to trade with you would want to know about your existence so far and the need that drove you to launch this venture. How long have you been in this business makes a difference when it comes to making buying decisions. People comfortably relate to long-standing brands compared to newbies. Old brands boast of their experience by mentioning their age in their taglines. 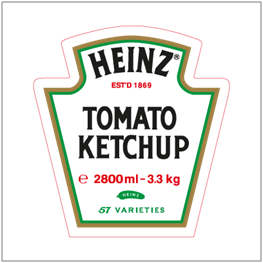 For example, a popular tomato ketchup brand projects its age of establishment in the logo. Further, a map showing your company’s geographic location also adds to your credibility certifying your existence. Also include a small contact-us section in your site. Allowing the customers to communicate with you manifests your accountability. The only spot where online retail lags behind a physical sale is the absence of a physical handshake. Here the trading parties cannot see each other face-to-face, which is a primary aspect of any relationship. But this deficiency can be overcome by modestly serving your customers. While bargain and negotiation cannot be allowed here implementing an exchange and return functionality can do the needful. A clean trade policy endorses product exchange as an instrument to channel customer trust. Retailers with a friendly retail policy find themselves in consumer’s good books. However difficult it might be to manage returns, this encourages customers to connect with you often. In fact consumer behavior surveys predict consumers select sites with smooth return policy over sites providing higher discount margins. Therefore employing a convenient return of goods policy will win you loyal customers. Money is a crucial trust determining factor in trade relations. Quote clear prices. Use legible font size and style in displaying numbers. Coming to financial transactions, adoption of a transparent policy as far as product pricing is concerned wins you customer adulations. All the payment steps should furnish appropriate messages to prevent checkout errors. Sites that ascribe hidden charges into customer bills lose out on customers, eventually falling into oblivion within a span of years. Throwing surprise charges at customers on grounds of shipping costs leads to cart abandonment in future. In fact moving a step ahead in this direction¬ – sites should show an upfront cost bifurcation chart displaying product charges, delivery charges, warranty charges, etc. before urging the customer for payments. The best way to cater a large number of buyers is to include varied price range products in your stores. Selling only expensive products may not get you those thrifty shoppers which throng e-stores initially to window shop but encountering a modestly priced commodity, end up buying. Ensure a certified shopping cart transaction that maintains customers’ data privacy. Also provide multiple payment options. There is no exception to people wanting value for money from their purchases. This is the reason people surf more than one eCommerce site before making that purchase. Comparisons are an essential ingredient of purchase decision. Rather than customer opening multiple tabs to compare, it would be very cooperative of the eCommerce site to incorporate product comparisons on the same page. Comparisons can only transpire between similar objects who have furnished similar information. For instance a consumer looking for 15’ laptop screen will compare only those products who have furnished their screen width. Products that reveal incomplete information stand to lose in competition. Let the images be shot in-house rather than an online purchased image of the same product. Include real life images into your site that speak of your work culture and people behind the scenes that they could see and believe. Not finding what they want users leave the site and move ahead, but worse is when the product exists on the site, and the customer was unable to locate it. To bring the product to customers table equip your website with a notable search box (preferably at the top of the webpage). A search function brings the required product to users table. E-commerce websites enclose multiple commodities which are spread across numerous pages, scanning all those pages to find one particular product is impractical and time consuming. There exist two types of search functions: 1. Simple Search and 2. Advanced Search. Simple Search: Basic search functionality can serve your purpose if you are unable to provide an advanced level search. This type of search is ideally suited for sites that sell lesser items with less variety. Advanced Search: E-commerce giants like Amazon, who sell almost everything from books to automotive parts, use this search type in their apps and websites. As the products range is diverse, for a customer to reach his desired item requires to cross multiple category filters. A site that adapts itself to consumers and offers maximum convenience enjoys a privileged stature with consumers. Monitor your website speed incessantly. If the site’s loading time crosses the accepted duration perimeter it makes your website appear flippant. This is almost like going to a shop where the shopkeeper is very slow to respond. What most people will do in such a scenario is move to another nearby store. 1. Use compressed images as far as possible and optimize them before uploading. 2. Style your text using light weight fonts that are less cumbersome on server. 3. Store bulky scripts and stylesheet separately from the webpage. So that every time a page is refreshed, browser doesn’t have to refresh the css and scripts. 4. If you have a large number of visitors thronging your site everyday, using a Content Delivery Network may help you resolve your problem as it allocates the request to users nearest geographical sever location. Even websites that include plenteous input parameters considerably ruin user experience. A clean and speedy cart checkout which is secure at the same time, leads the user to the end of the conversion funnel. Remember, the faith that customers bestow in your store is your ultimate profit. Be true to your word. Speaking alone will not help you will have to deliver to build trust.